Mt. Sinai MOB - Innovest Capital, Inc. 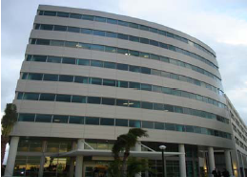 The Mount Sinai Medical Office Building is also considered a marquee asset within the medical office sector. The property’s location on a well-known hospital campus with a strong charitable foundation, strategic location on the water and significant leasing interest from potential tenants made this an ideal project.